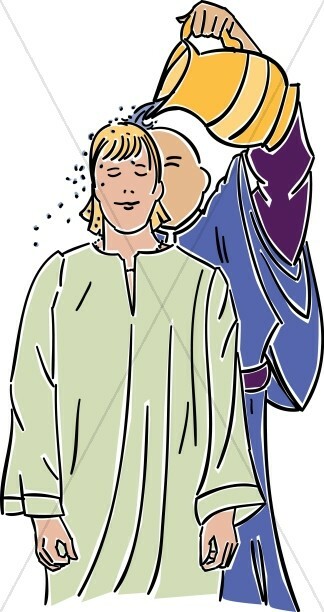 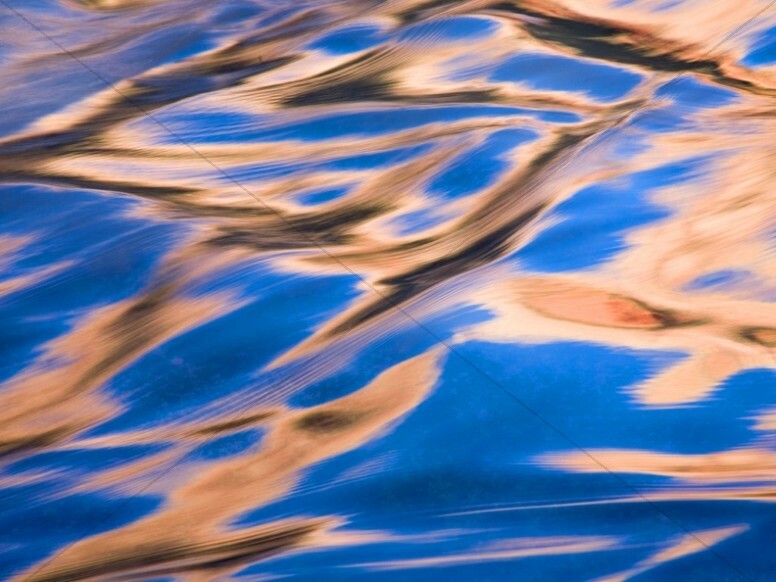 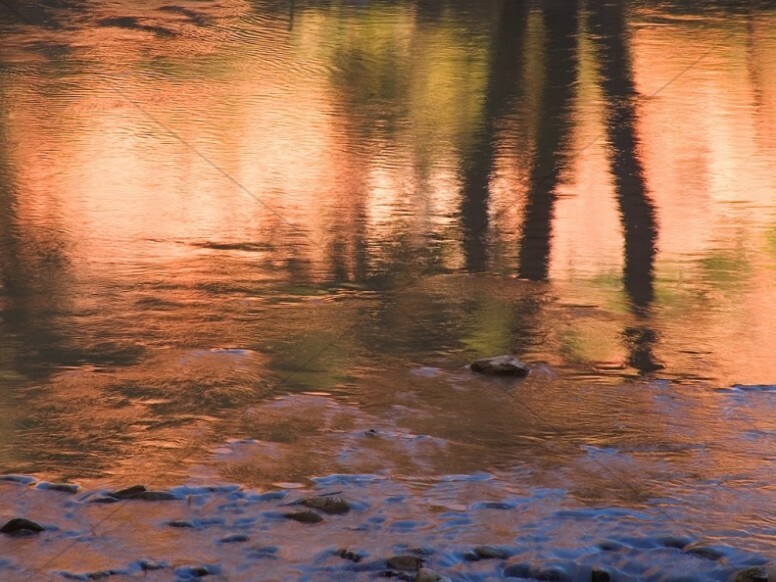 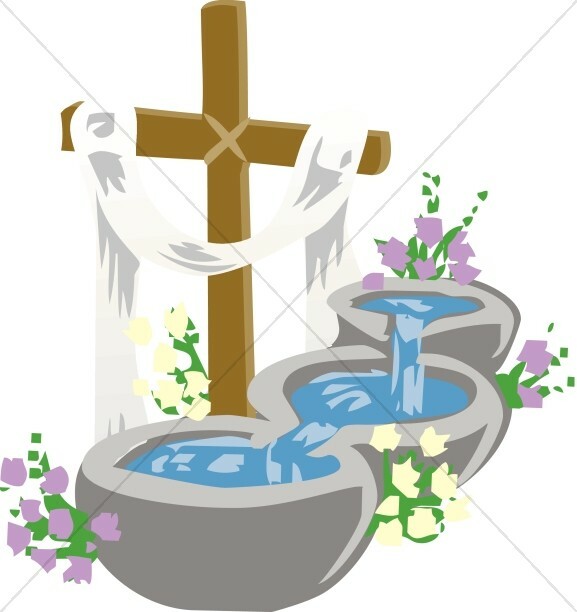 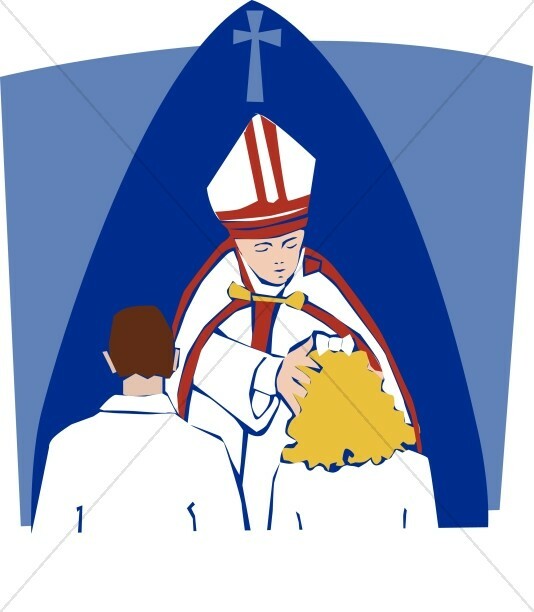 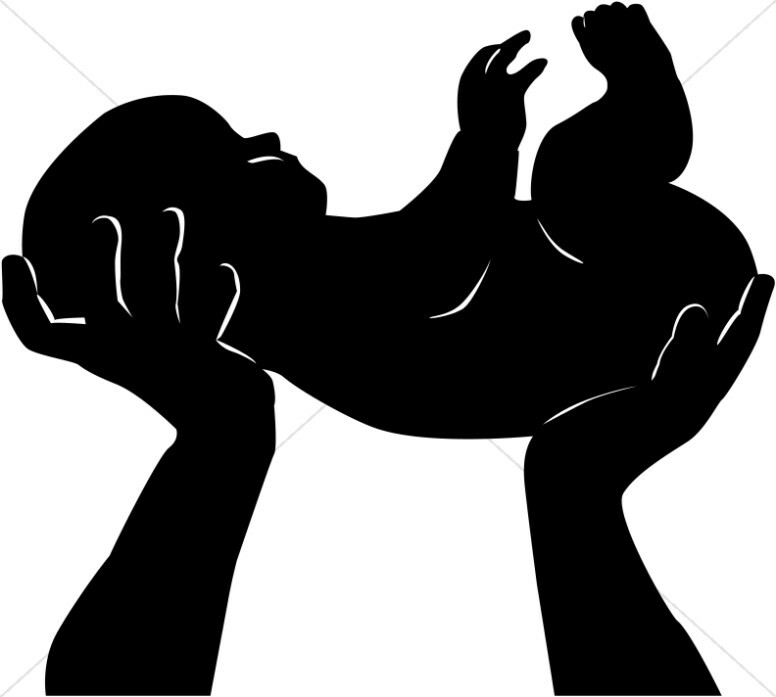 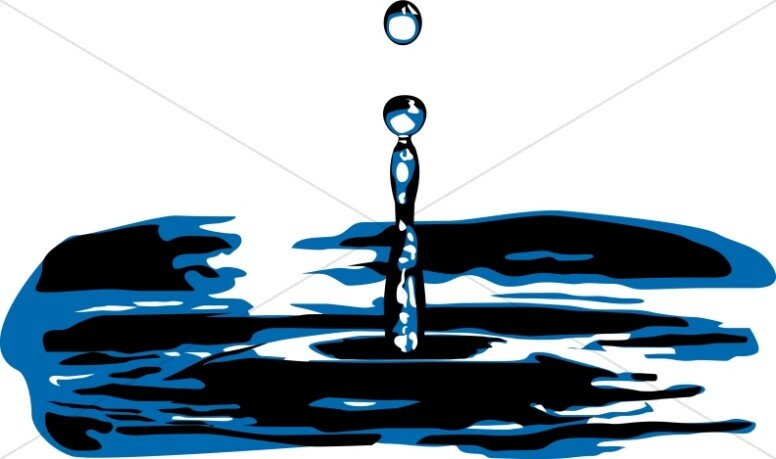 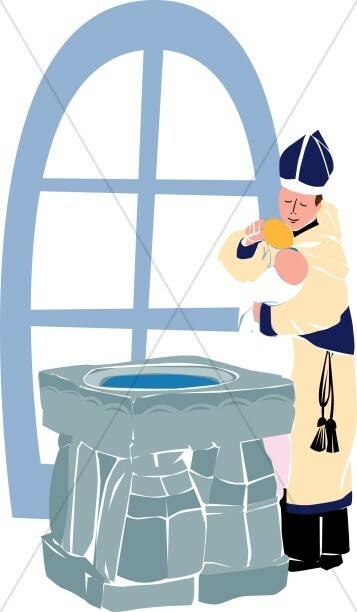 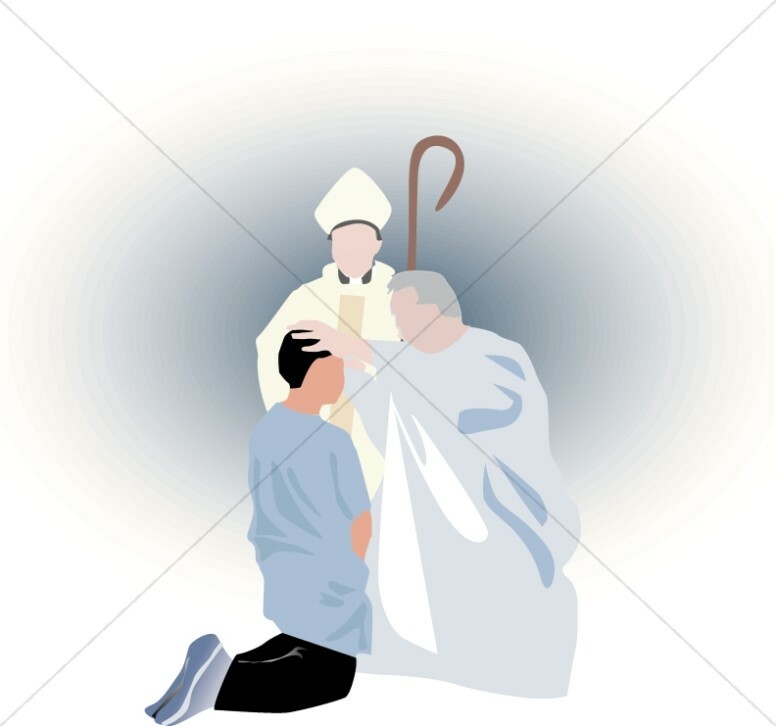 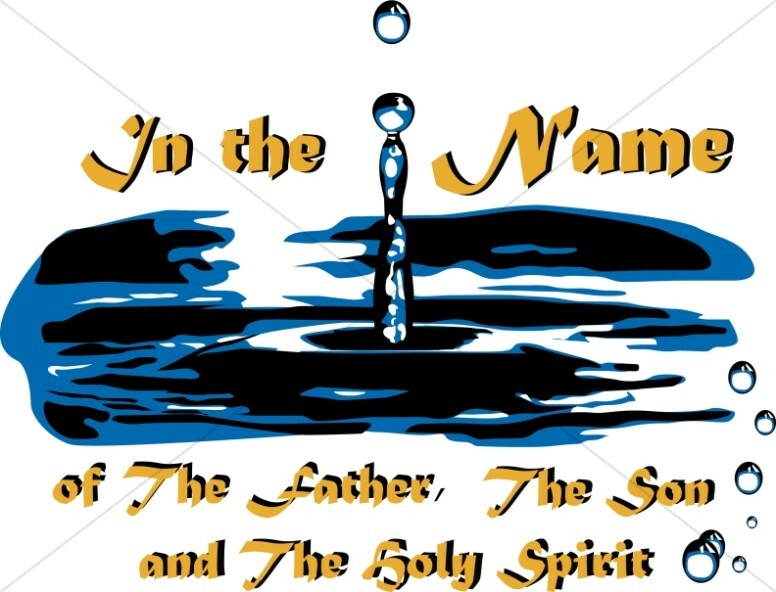 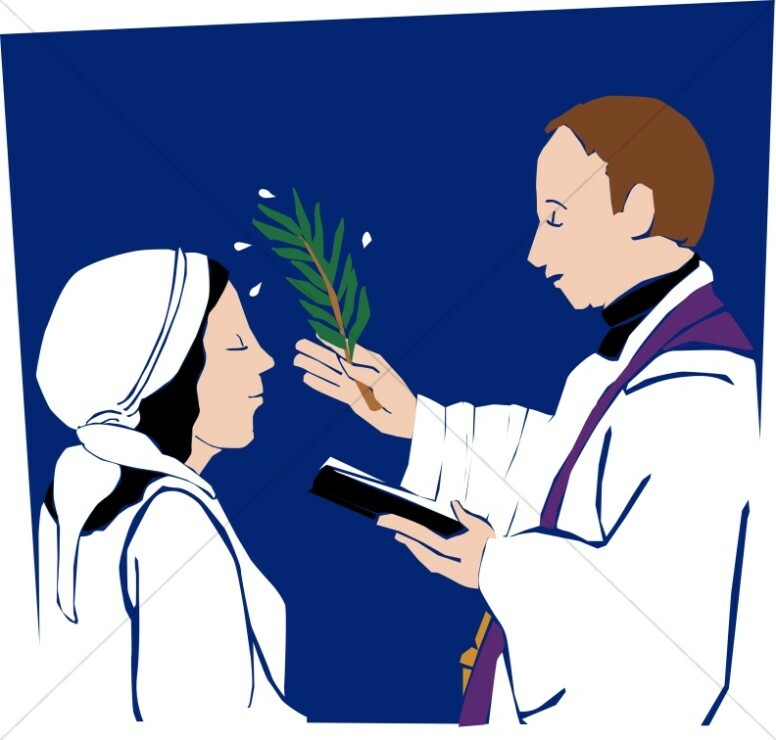 This Baptism Clipart collection includes images and scenes of the sacrament of baptism. 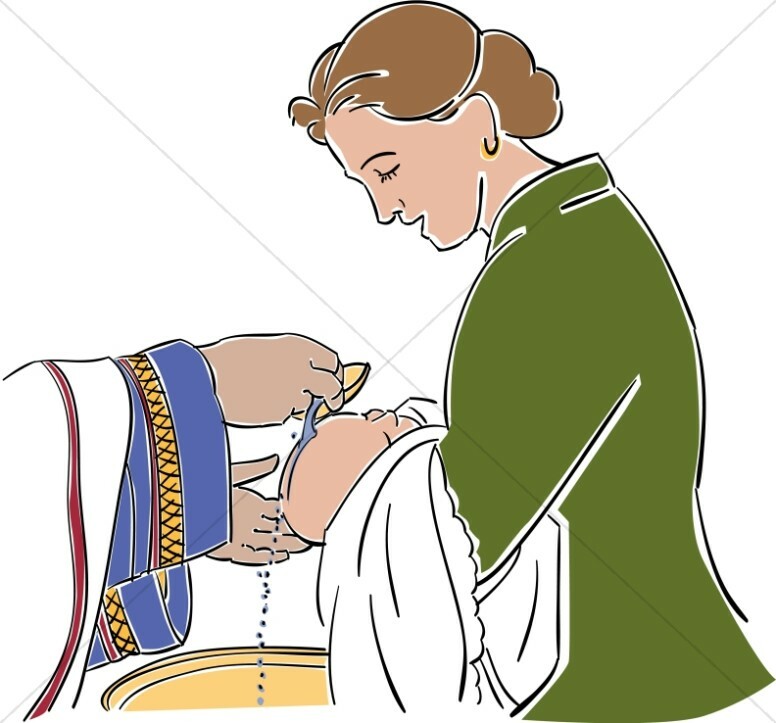 For example, you'll find baptism graphics depicting children at the altar being baptized by a priest, a priest holding a baby at a baptismal fountain, a family holding a baby during baptism, the baptism rite performed in a river, and a mother cradling a baby as it is baptized. 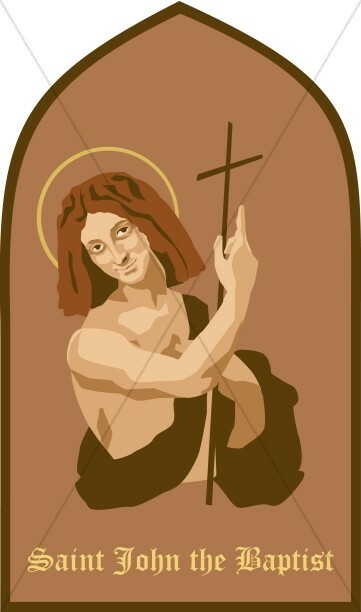 The collection even includes a vintage graphic of John the Baptist, who baptized Jesus in the river Jordan. 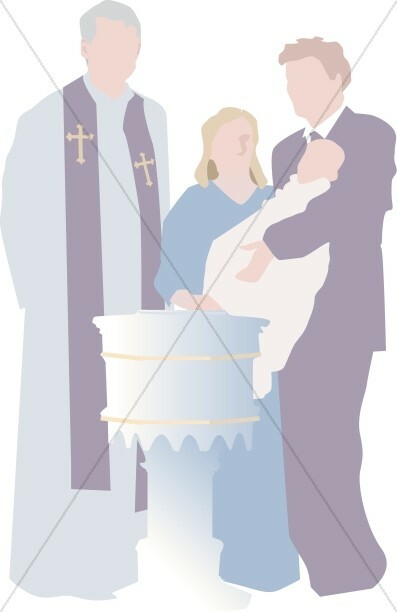 Baptism clipart also shows full immersion baptisms of children and adults. 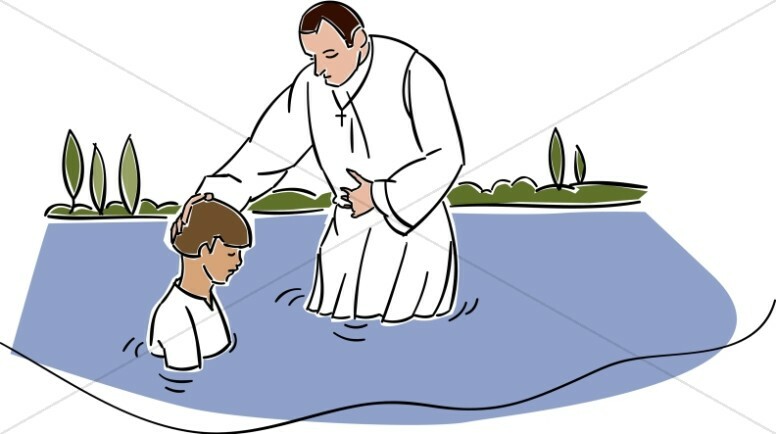 Baptism is the act of dying to sin. 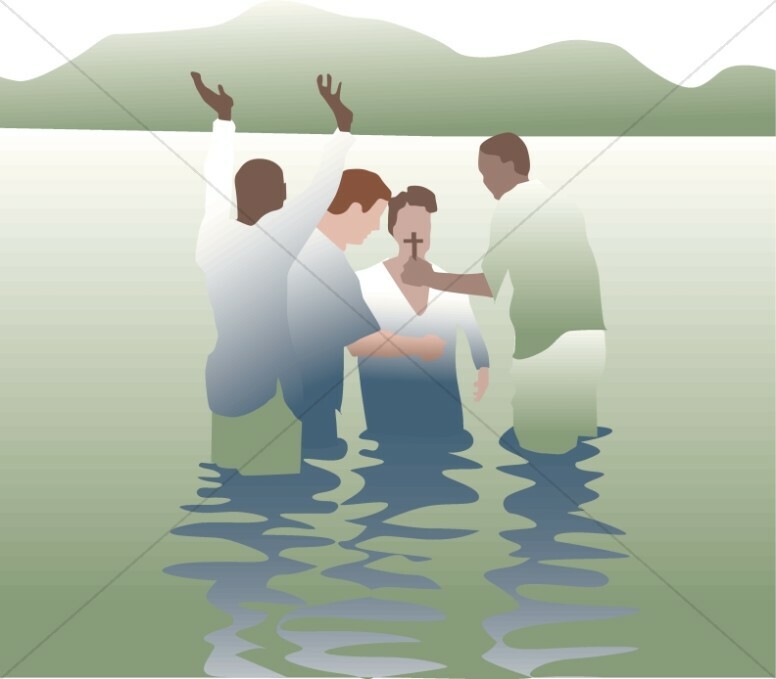 The images in this collection add visual character to church programs and baptism announcements.